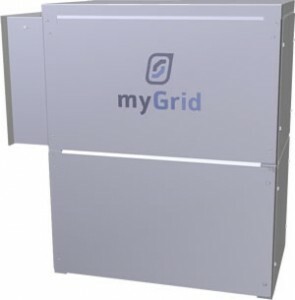 The myGrid range gives you a variety of options that allows you to manage renewable, stored energy and the grid. It gives you control to use stored power when you chose – for example at peak times when electricity from the grid is expensive. This also means it gives you the choice to use the power you have produced straight away or store it for later use – it is reliable and flexible. myGrid Centres give you everything needed for the system to function bar the solar panels.